got a custombulk order?we’ve got you covered! At Laya we are committed to bringing you salt as nature meant for you to have it. 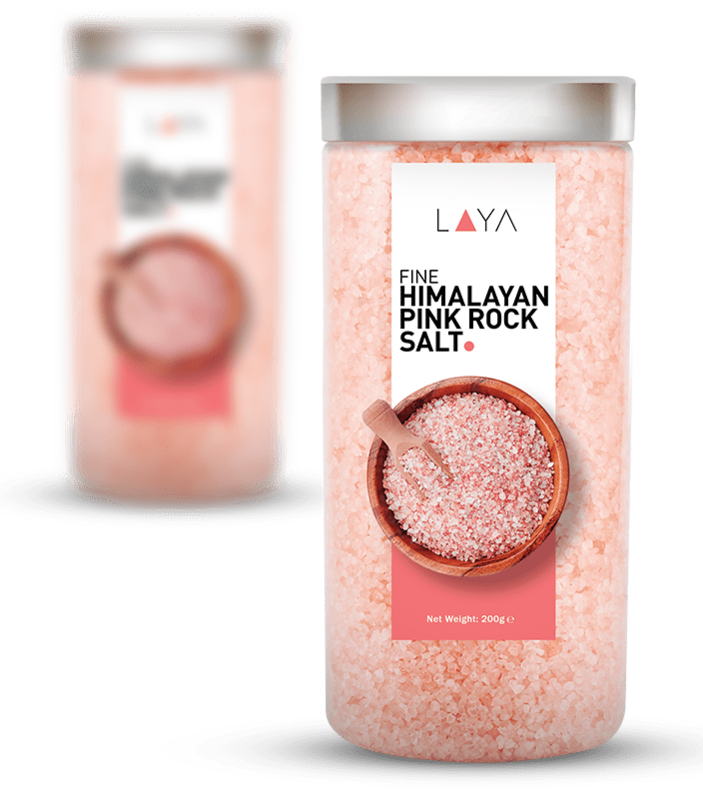 Hand-mined from the Himalayan Mountain range of Pakistan, Laya rock salt is extracted in its purest form. 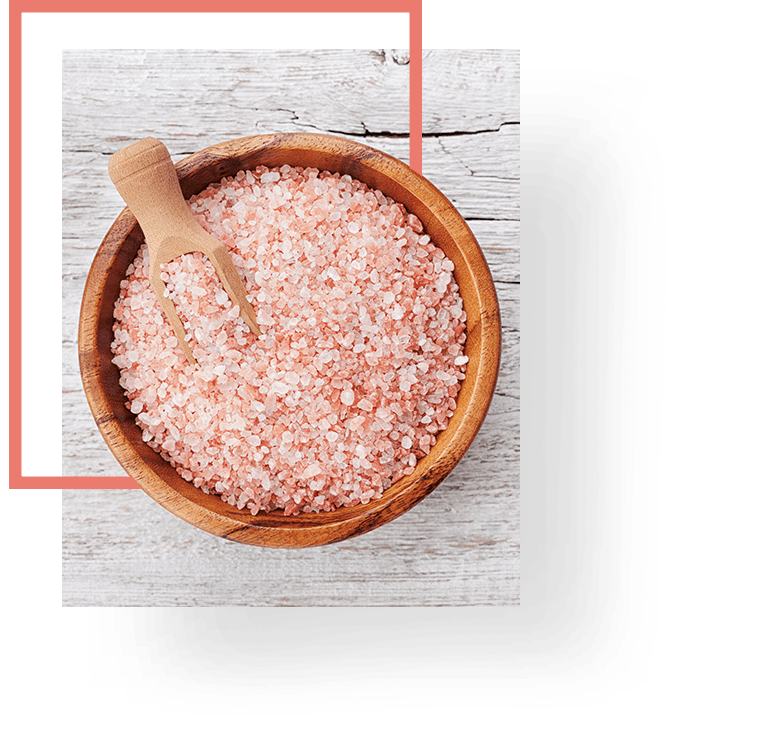 These pink, translucent salt crystals contain 84 minerals including calcium, magnesium, potassium, copper and iron and offer a range of minerals that are essential to your well-being. Laya is a subsidiary of the Hashwani Group, a global leader in export of minerals with more than 50 years of experience. Being a part of a group with such a legacy gives Laya the ability to seamlessly cater to export orders of any magnitude. Whether you choose our delectable Gourmet Salt or you choose our refreshing Bath Salts, you can be confident that Laya’s products are as nature meant it to be; simply natural. 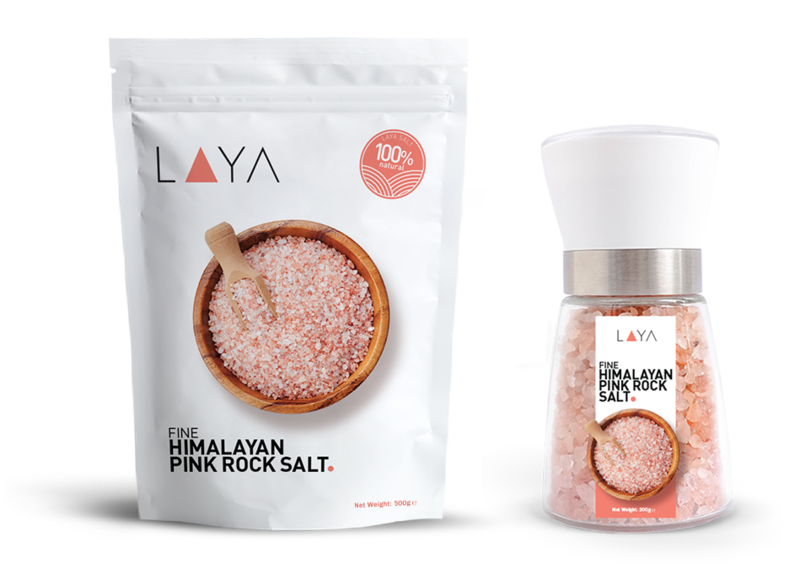 Considered widely as the purest salt on earth, Laya Himalayan rock salt is essential for any gourmand’s table or pantry. Choose from a variety of grain sizes or our stylish new reusable glass grinders to fit your needs. Unpolluted and unrefined, this versatile seasoning will add a delightful flair to any dish and a full variety of rich minerals not found in common salt to your diet! Refresh and energize your senses with the unique detoxifying benefits of a Himalayan Salt Bath. Laya’s Bath Salts are therapeutic and help balance the body’s alkaline and acidity levels. Not only will Laya Bath Salts reduce your mental stress and relieve muscles and joint pains, but it will also facilitate the removal of toxins from your skin by delivering 80 essential minerals in the form of ions. Available in our iconic glass jar, Laya Bath Salts will be sure to give you the royal treatment you deserve! Himalayan salt slabs unique conductive properties make it perfect to use as a serving platter or cooking surface. The slab can be chilled in the refrigerator for serving items such as sushi or cheese or heated in the oven to be used as a grill for steaks. Along with making your food look appetizing, our Salt Slabs also add flavor to it. Incorporate Laya Salt Slabs into your culinary presentation, to give your guests an experience unlike one they’ve ever had before. As experts in Himalayan Rock Salt, we are here to help you however we can. If you require orders in bulk for Gourmet Salts, Bath Salts or Salt Slabs, please send us a message below. We would also be more than happy to share with you our range of Dark Pink, Pink & White Himalayan Salts and customize to the grain size that you need. By being a part of Hashwani Group, a global leader in minerals export, Laya has the logistical experience to cater to orders of any size. Whether you are looking for grocery, repack, or as an ingredient in a food product, Laya has got you covered! Laya, the Himalayan Rock Salt company, is a subsidiary of Hashwani Group of Companies. Hashwani Group of Companies emerged in the late 1960’s to pivotal acclaim in the field of commodities and ranks among the leading businesses in Pakistan today. The interests of the group range from commodity trading, mining, the processing and marketing of various minerals including onyx, marble, travertine, lead, chrome, barite and iron ore. We have a diversified international business portfolio and conduct businesses in the South Asian, European, African and Middle Eastern markets. 2018 © LAYA. All rights reserved.